Fully clickless remote controlled Monitor outputs. All LIO-8 analog outputs incorporate Metric Halo clickless remote technology allowing for flexible monitoring applications from stereo to 7.1 surround. 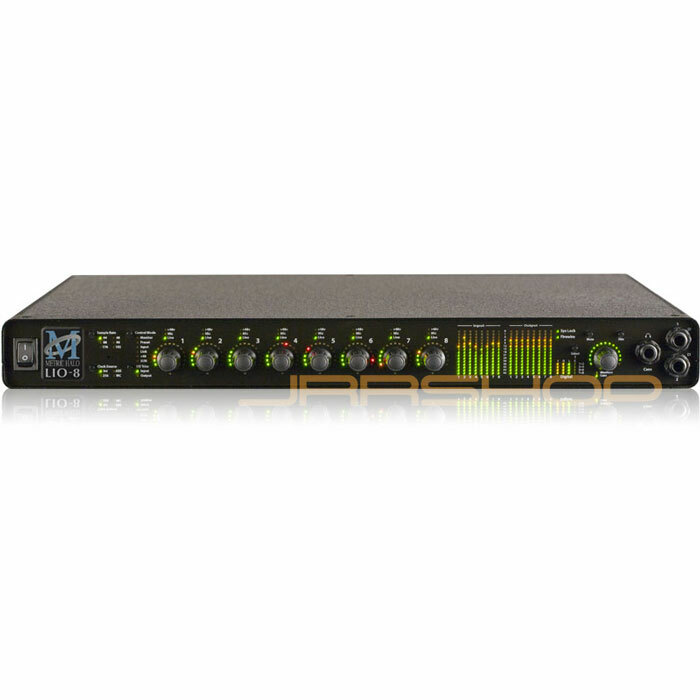 With everything you need to record, mix, process, and master audio (just add your DAW of choice, analog front end and transducers), the LIO-8 is your one-stop solution for recording, edit, mix and mastering suites. Even if you are using a DAW or recording system that does not support the LIO-8 Firewire interface, the unit’s standalone operation and standard AES and analog interface allow you to use it as the Audio Front End and Monitor Controller for Pro Tools, standalone and PC based recording systems.